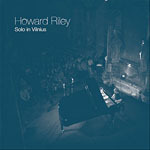 No stranger to being alone in the spotlight, Solo In Vilnius is at least the 11th such entry in English pianist Howard Riley's extensive discography. 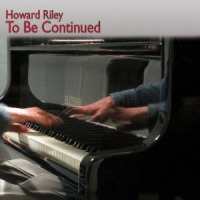 Musically active for more than 40 years, Riley, now in his 60s, enjoys an impressive résumé which name checks the cream of British improvisers, including London Jazz Composers'' Orchestra, Keith Tippett and Tony Oxley. 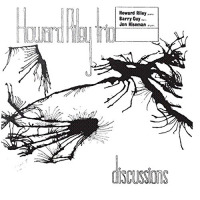 Recorded live in St. Catherine's Church in Vilnius, Lithuania, the 13 cuts spread across the two discs' 96 minutes, comprising ten seemingly improvised originals, one standard and two from the Thelonious Monk canon. From the cover shot of a darkened cathedral-like building, the performance space appears large and, from the reverb, it sounds it too, coming on bright but diffuse, the aural equivalent of looking too long at the sun. There are no explicit themes on the originals, though the pianist's extemporizations are not unmelodic. Riley is, however, a master of two-handed independence. His lines converge, proceed in parallel, and divergeat times almost unrelatedto evoke an orchestral feel of more than one voice at play. It's tempting to infer the effect he is seeking from the sequence of overdubbed duets with himself scattered through his back catalogue. Indeed, in the liner note interview he remarks how solo work makes it possible to have a conversation with one's self. The liners also speak to Riley's huge harmonic resource, bespeaking an interest in every style of jazz and notated music, and that is certainly still true. Arpeggios ring out as if water trickling over rocks. 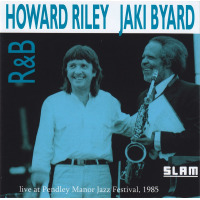 Riley is not a hugely rhythmic player; he could be called florid, were it not for the substance and space in his playing. Of particular note is "There And Back," which delights in its muffled hammered notes (a hand inside or preparation? ), with an opening repetition utilized as a recurrent motif until a striking finale-like tinkling string of pearls, reverberating against thundering chords. 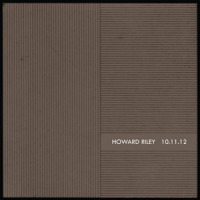 Both the Monk selections and "Yesterdays" arrive lightly disguised before the familiar cadences emerge, but Riley doesn't take them straight. 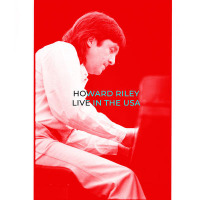 On "Round Midnight," for example, he speeds up only to slow, rubato fashion, piling on harmonic rather than rhythmic complexity. "New Walkway" is once more fashioned from that winning combination of rich chordal grounding and beaten single notes, while the brief "Encore" distils to the essencestately and opulent. 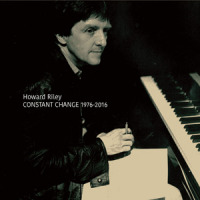 Track Listing: CD1: Starting Up; Six With Five; Proof; There And Back; Round Midnight; Secret Moves; CD2: Hello Again; Space Cadets; Formerly; New Walkway; Yesterdays; Misterioso; Encore.